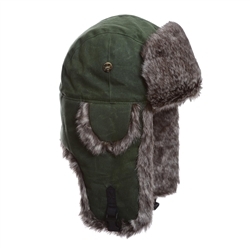 Moss Green Waxed Cotton Mad Bomber warm winter hat with Brown Wabbit Faux Fur. 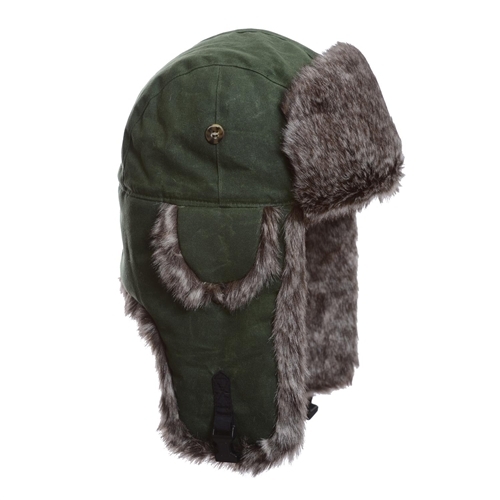 Ear flaps can be buttoned up for easier hearing. Chin strap can close snug around face or clip on top of crown as a cap.